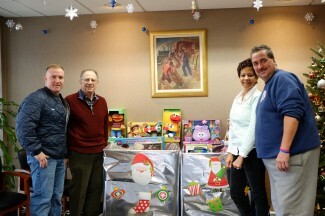 In what has now become a yearly tradition, The Weeks Lerman Group concluded 2014 toy drives on behalf of both, The Salvation Army and FDNY Company 291’s Toys for Tots. 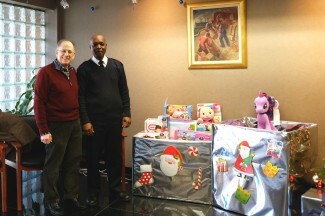 Last year, with TWLG’s help, The Salvation Army was able to distribute over 700 toys. This year their goal was to distribute 1,000 toys to children in our community. At TWLG the holiday “miracle” repeated over and over again through the joy of caring and sharing. TWLG employees came through once again by holding raffles to help raise money for toys, as well as taking the time to purchase the toys themselves. Of course, we could never turn away our favorite FDNY house, Engine Co. 291 and their annual Toys for Tots drive. They have counted on TWLG for many years to help them bring toys to as many children as possible and this year was no different. TWLG staff was eager to help once again by putting the needs of others ahead of theirs by providing new toys for the less fortunate youngsters. The Salvation Army, Engine Co. 291, and TWLG family always rally for good causes and we are once again extremely happy to help these organizations reach their goals of bringing a bit of holiday cheer to some very special local children. This entry was posted on Monday, December 29th, 2014 at 1:27 pm	and is filed under News.